Stylish and bold, Metallic Rose Gold Stripe Beverage Napkins make your table shine. These small paper napkins feature an eye-catching rose gold foil stripe pattern on the top of each napkin when folded. 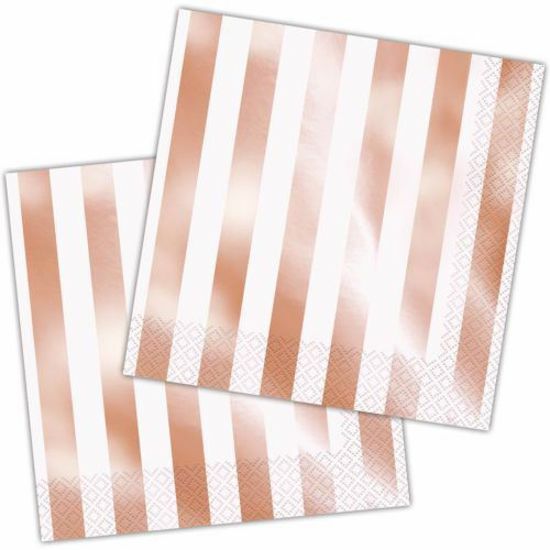 Keep metallic rose gold stripe napkins on hand for special events or everyday entertaining.